Purple stands for loyalty to friends, and for integrity of mind and heart Gold symbolizes sincerity of purpose, liberality in judgement, purity in life, and generosity in mind, heart and purse to those in need. Welcome to the Oceanside Sea Lions Club! General meeting every 3rd Tuesday of the month at 7pm , Board meeting every 1st Tuesday of the month at 7pm. 1806 Oceanside blvd. Oceanside 92054. The Oceanside Sea Lions is one of the over 46,000 local clubs and more than 1.7 million members in 190 countries around the world. Melvin Jones started the first Lions Club in Chicago in 1917. 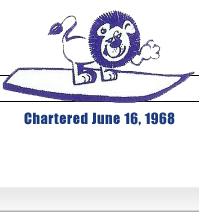 Oceanside Sea Lions Club was chartered in June 16, 1968. Since 1925, when Helen Keller challenged the Lions to become the "Knights of the Blind", sight conservation has been the primary mission of the Lions. Throughout the world, Lions have dedicated themselves to take up Miss Keller's challenge.The Oceanside Sea Lions have taken this challenge to heart. Since 1960s (with the help of generous local eye doctors), we have furnished eyeglasses for thousands of children in the Oceanside, California area. 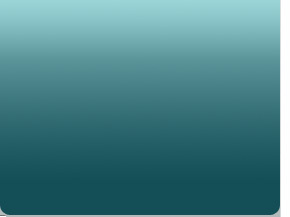 In addition, we have sent several people to the Southern California Lions' Eye Institute in Santa Monica for eye operations performed by highly skilled surgeons at little or no cost to the recipients. We have also referred youth and adults to VSP. We also support many local organizations such as Local Schools, Lion Camps at Teresita Pines, Oceanside Pacific Kiwanis Beach Fun Day, Brother Benno's, and more. As you may have guessed, all this takes time and money. To achieve these goals, the Sea Lions have two major fundraisers annually. In 1981 Pam Pahnke brought the pageant to Oceanside Sea Lions Club. Since then we have sponsored the Miss Oceanside Pageant. This pageant provides scholarships and helps develop self esteem, confidence and poise. 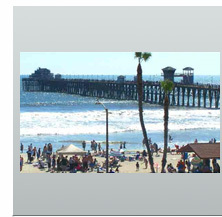 And in 2010 during Lion Zucette Lumabas presidency we added the Miss Teen Oceanside Scholarship Pageant. 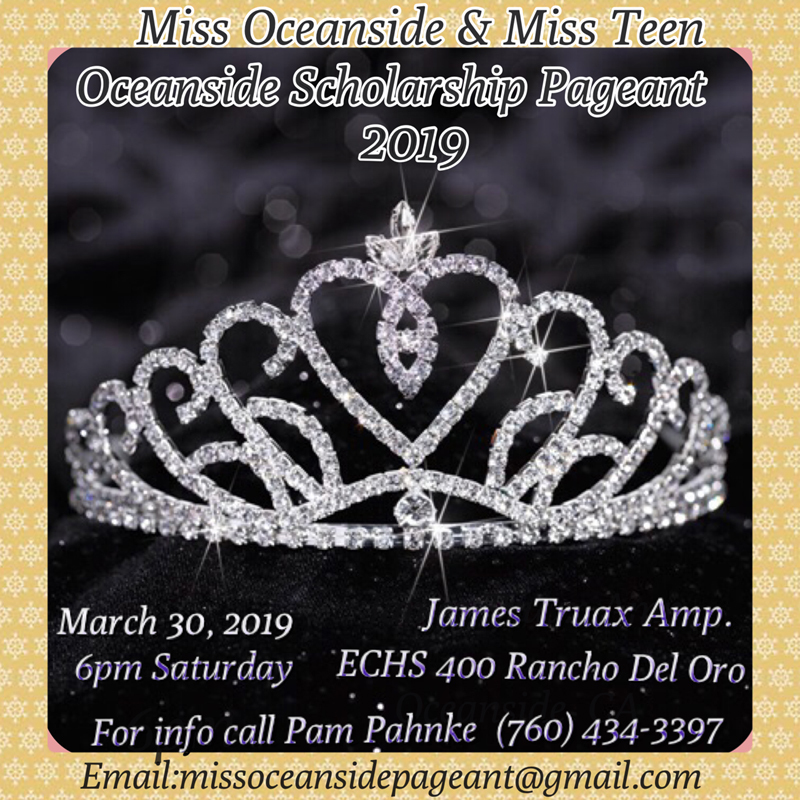 The event became known as Miss Oceanside & Miss Teen Oceanside Scholarship Pageant starting 2010. The winners become goodwill ambassadors to the City of Oceanside, Oceanside Chamber of Commerce and Oceanside Sea Lions Club. Our next annual fundraiser is fun for the whole family "Bowl for the Blind". 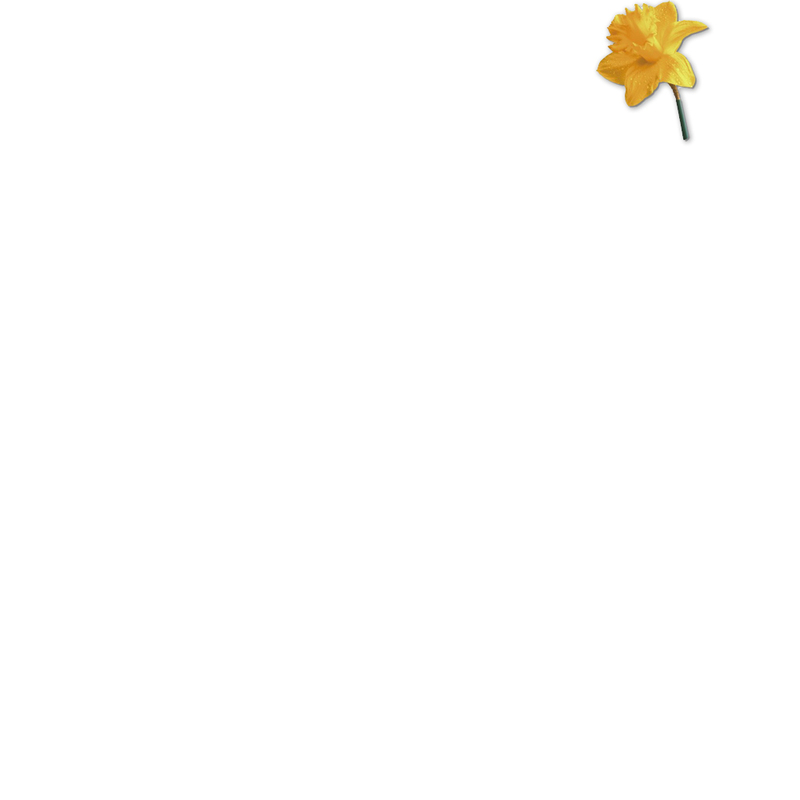 The Lions Club is constantly looking for new and fun ideas for fund-raising and new members to help us with this exciting undertakings. If you are interested in seeing how the men and women of Oceanside Sea Lions Club work, please fill out the membership form, come to the meeting and support the citizens of your community.